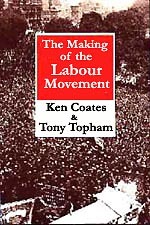 With authors such as Tom Mann, Ken Coates, Tony Topham and R. H. Tawney on subjects ranging from The Making of the Labour Movement, Syndicalism, Workers' Control to Bevanism and Feminism this section is packed full for the discerning reader of Labour History. The Leeds Convention of June 1917 has been described by Ralph Miliband as 'perhaps the most remarkable gathering of the period.' The description seems to be a fair one. 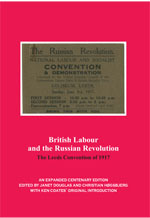 On the one-hundredth anniversary of the Russian Revolution and the coming together of the many and varied strands of the British labour movement at the Leeds Convention, Spokesman is pleased to re-publish 'British Labour and the Russian Revolution' with additional materials. 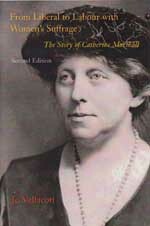 Catherine Marshall was a vital figure in the women's suffrage movement in Britain before the First World War. Using her remarkable political skills on behalf of the major non-militant organization, the National Union of Women's Suffrage Societies, she built close connections with major suffragist politicians, leading some - in all three parties - to consider adopting a measure of women's enfranchisement as a party plank. By 1913 Marshall was uniquely placed as a lobbyist, with inside information and sympathetic listeners in every party. Through her the dynamically reorganized NUWSS brought the women's suffrage issue to the fore of public awareness. It pushed the Labour Party to adopt a strong stand on women's suffrage and raised working-class consciousness, re-awakening a long-dormant demand for full adult enfranchisement. Had the general election due in 1915 taken place, NUWSS financial and organizational support for the Labour Party might well have been substantial enough to influence the final results. Defying all expectations, Jeremy Corbyn was elected Labour Leader with a resounding mandate. His campaign re-wrote the rules of British politics by mobilising tens of thousands of supporters both within and outside the Party. The 'Corbyn for Leader' campaign, a radical social movement reflecting aspects of the new left across Europe, and Corbyn's ultimate victory provide the rarest of opportunities to redefine the Labour Party and socialism for a new generation. Corbyn's Campaign tells the story of Jeremy's victory and articulates the opportunities for a renewal of socialism in Britain. Contributors were active - at both national and local levels - throughout the leadership campaign, and continue to be so as a new politics unfolds. Chris Williamson, Labour MP for Derby North, lost his seat by 41 votes at the 2015 General Election. Chris is a regular contributor to Tribune and spoke on behalf of Jeremy Corbyn's campaign at meetings across the country. Ben Sellers of Red Labour blogs at the World Turned Upside Down; Radical Thinking from the North East. Christine Shawcroft is a long-serving member of the Labour Party's National Executive Committee, and contributes to Labour Briefing. Adele Williams is Secretary of the Sherwood Branch Labour Party in Nottingham East and a trade union administrator. 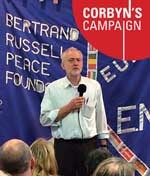 Tony Simpson edits The Spokesman, the journal of the Bertrand Russell Peace Foundation, and is a member of UNITE. 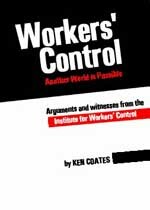 Tom Unterrainer teaches maths and is compiling a political bibliography of Ken Coates, who helped establish the Institute for Workers' Control. Abi Rhodes is a writer and reviewer for the Bertrand Russell Peace Foundation, a student of Critical Theory and Politics, and is a member of UNITE. This authoritative and comprehensive history does more than tell a story. It shows how trade unions created permanent organisation, based on "recognition" as a key concept. Those who had formerly been locked out from society now recognised their own strength in association, and saw that strength reflected in the eyes of their bosses. 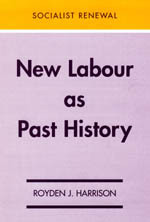 The thesis of Bevanism was a polemic against leftist denigrators of the seventies who denied that the Bevanites represented the broadest, most popular Labour current of the twentieth century, with a mass following in both the Party and the trades unions far exceeding the levels of support enjoyed by the Socialist League and the Independent Labour Party (ILP) in the thirties. The weight of statistical evidence I assembled as proof has never subsequently been challenged. However, the thesis was never a slavish promotion of Bevanism or even its programme. So, we return to Bevan's social-democratic dilemma. Where do the boundaries of the state end and the free market begin? Bevan was never the ideologue of dogmatic statism. He was always the principled pragmatist, prepared to win over the medical profession by 'stuffing their mouths with gold' to establish the principle of free public medicine. The NHS remains his abiding legacy, which today, along with public education, faces its sternest test since the days of Clement Attlee's bold initiatives." Whatever is happening to the Labour Party? Michael Barratt Brown and Ken Coates seek to tell the truth as they understand it of the changes which the Labour Party has recently undergone. 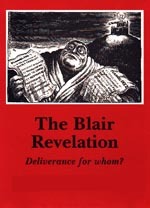 They have looked closely at Mr Blair's much hyped commitment to ethical socialism. They examine the meaning of his idea of 'community', and test his claims that he stands in the tradition of Christian Socialism. "No More ditching. No more dumping. Stop saying what we don't mean. And start saying what we do mean, what we stand by, what we stand for. It is time we had a clear, up-to-date statement of the objects and objectives of our Party ... "
This book contains a careful analysis of the issues involved in this controversy. "Fenner Brockway lived a long life and it was certainly packed with colourful action. Here we are reproducing the first volume of his autobiography, which was written on the eve of the Second World War. 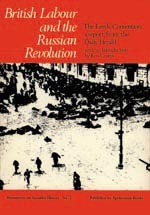 Never afraid to court controversy, this book celebrated the Socialist movement's opposition to the First World War, and the activities of an anti-war movement which continued after that conflict. A pupil of Keir Hardie and Bernard Shaw, the young Brockway found his natural home in the Independent Labour Party, which developed his talents as an editor and public agitator. He became acquainted with many of the key personalities of international socialism, and with all the leading figures on the British Left, including H. G. Wells, Bertrand Russell and the political spokesmen of the growing Labour movement. 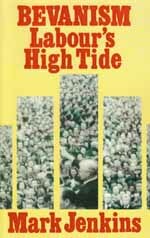 This book contains Brockway's detailed account of the efforts of the British Left to find some kind of political unity during the years of the Labour Party's split, when Ramsay MacDonald formed a National Government. 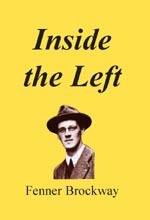 The ILP left the Labour Party, and entered into a variety of negotiations with the Communists and others to attempt to crystallise a Socialist opposition." 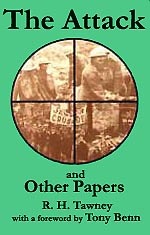 Alistair Graham reviewed this title in the August edition of The Forest & Wye Clarion. 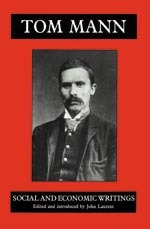 Tom Mann is widely recognised as a leading pioneer of socialism in Britain and one of the most important personalities of the period which saw the emergence of Labour as the political alternative to Conservatism. This book provides... a careful selection of writings which show his intellectual development. Laurents introduction gives an account of Tom Manns life and political involvements. The first secretary of the Independent Labour Party, the President of the dockers' union, the first General Secretary of the Amalgamated Engineering Union: a mere roster of the positions he held in the Labour Movement, of which this is a tiny fraction, would establish Tom Mann as a Pioneer. But what he did was always more impressive than the positions from which he did it. He was an initiator, a catalyst, a goad to action. Whenever a real crisis came, his stature found its true proportions, and again and again Tom Mann became a pivot for the actions of downtrodden people. Throughout his lifetime as a militant socialist, whatever the stages of evolution of his thought, he invariably displayed a gift for finding himself at the centre of every major struggle of his time. 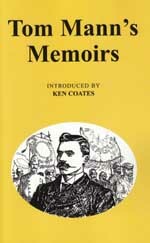 For this reason it is important that these Memoirs, first published in 1923, should again become available. The Syndicalist journal was edited under the auspices of the Industrial Syndicalist Education League. 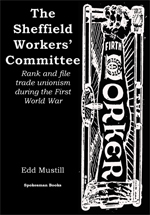 The purpose of the ISEL was "to popularise syndicalist principles amongst Trade Unionists with a view to the realisation of the Industrial Commonwealth." 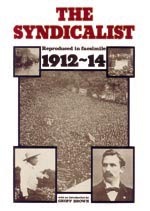 This volume reproduces in facsimile the issues of The Syndicalist from 1912-1914. 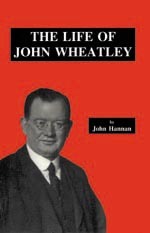 John Wheatley was the architect of left-wing opposition on Red Clydeside during the the First World War. He alone commanded the loyalty and respect of all the different groupings amongst the socialists, including such diverse firebrands as Maxton, Gallagher and Kirkwood. It is to Wheatley that the main credit must go for the achievement of the Independent Labour Party in Glasgow which provided two-thirds of the city's elected representatives at Westminster. The Leeds Convention of June 1917 has been described by Ralph Miliband as 'perhaps the most remarkable gathering of the period.' The description seems to be a fair one. Spokesman Books also publish The Miracle of Fleet Street: The Story of the Daily Herald by George Lansbury , which contains illustrations by Will Dyson. 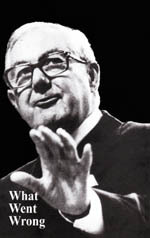 Speaking in the debate on the Queen's Speech in March, 1974, Tony Benn was interrupted by the member for Bridgwater, Mr. Tom King, who demanded to know whether workers in industries about to be nationalised "will have the right to be consulted on the question whether they wish to be nationalised?" Quite rightly Benn replied that if his opponent would think back "over the history of public ownership he will recall that it was the miners and the railwaymen who campaigned continuously for the public ownership of their industries." This collection of writings by different hands is partly an attempt to explore the question, why was this so? 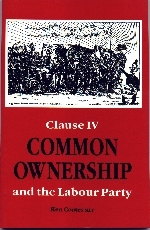 During the lifetime of the Labour Government which was elected in October 1974, the only experiment in industrial democracy to assume a tangible and practical form, was the creation of a number of workers' co-operatives, under the auspices of the Department of Industry, at the time that it was headed by Tony Benn. 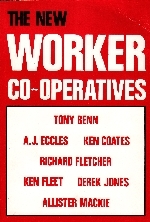 Against great odds, in difficult commercial circumstances, and facing strong Civil Service opposition, the three co-operatives struggled on as long as they could. The First to die was the Scottish Daily News. 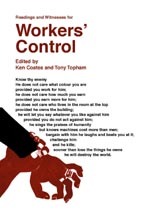 Its story is documented in a book published by the Institute for Workers' Control, The New Worker Co-operatives. Trade Unionists in Britain pursued their hope of a more fulfilling life in the secure knowledge that if they joined together, a better world was indeed possible. 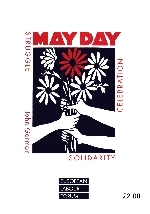 Now, a new generation of trade unionists, internationally, may in turn draw inspiration from the ideas and experiences of those who came together in pursuit of industrial democracy and workers' control. Jeremy Dear National Union of Journalists, Andy Gilchrist Fire Brigades Union, Billy Hayes Communication Workers Union, Joe Marino Bakers, Food & Allied Workers' union, Mick Rix ASLEF, Mark Serwotka Public & Commercial Services Union, Tony Woodley Transport & General Workers' Union. R H Tawney was a major figure in the development of English socialist thought. Tony Benn contributes an introduction which is itself a thoughtful development of the argument in which Tawney was engaged throughout his long and stimulating life. "... it is no longer possible for members of any political or religious party whatever to deny that there is, on foot, a great world Movement aiming definitely and determinedly at the economic emancipation of the workers. 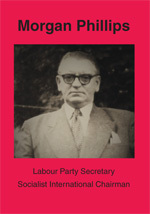 Frank Cousins was General Secretary of the Transport and General Workers' Union from 1956 to 1969. During those years he helped change the Labour Party and the TUC, and in so doing influenced an entire generation. "... a good book on a great theme ..."
"... a vital text for anyone who wants to understand the underlying truth of the Labour Movement." 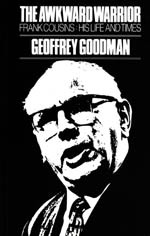 "Geoffrey Goodman has done every bit as good a job as Bullock did in his study of Bevin." 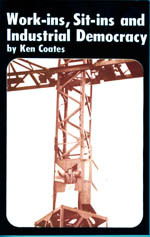 This book recounts the experiences of the Merseyside plant of IPD (Fisher-Bendix), subsequently to become the Kirby Manufacturing and Engineering Company; of the Scottish Daily News; and of the Triumph Meriden motor-cycle enterprise. 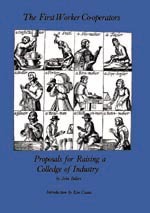 It attempts a preliminary evaluation of the successes and failures of these experiments, and it seeks to situate them in their place in co-operative history, Labour policy and socialist theory. 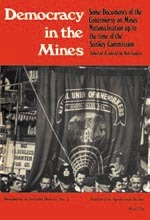 An account of the lessons of the factory occupations in the early 'seventies, this book contains the most complete description of the first sit-ins yet published. it means just what I choose it to mean  neither more nor less. When Mr Blair says advance he means retreat. This pamphlet concludes that there are indeed new conditions which have to be recognised. But these conditions require Labour, not to go back on its traditional commitments, but to go beyond them. 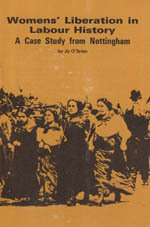 In this pamphlet Jo OBrien discusses the economic, social and political roles of women and children in working class life in Nottingham and elsewhere in the nineteenth century. In July 1981, violence erupted on to the streets in Liverpool. In Toxteth unemployed blacks and whites launched an assault on the Liverpool police. But there were some watching the rioting in Toxteth who had seen it all before. In the autumn of 1932, those on the dole in Birkenhead had reacted similarly. 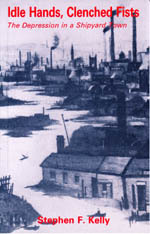 This book, for the first time, records in detail the events of that autumn on Merseyside.